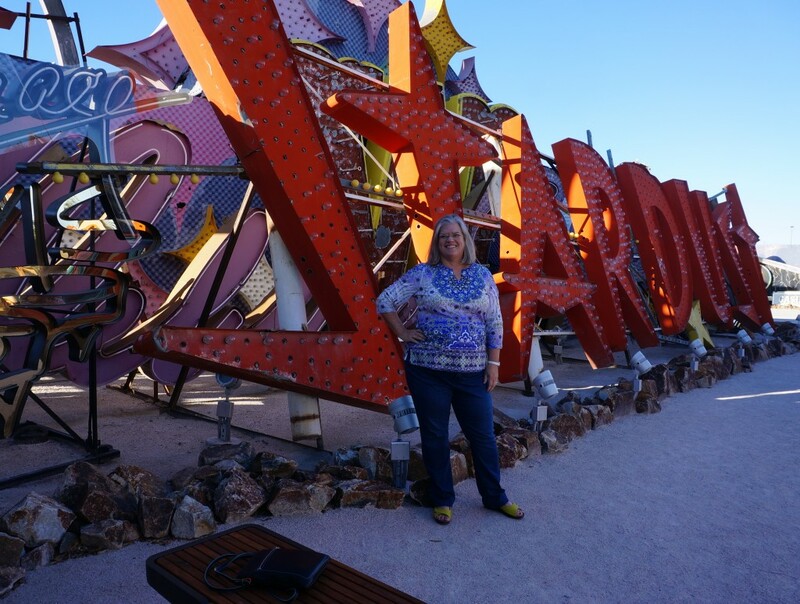 For this installment of Away Things, I’m sharing the fun, fast hour we spent last weekend at the Neon Museum in Las Vegas. 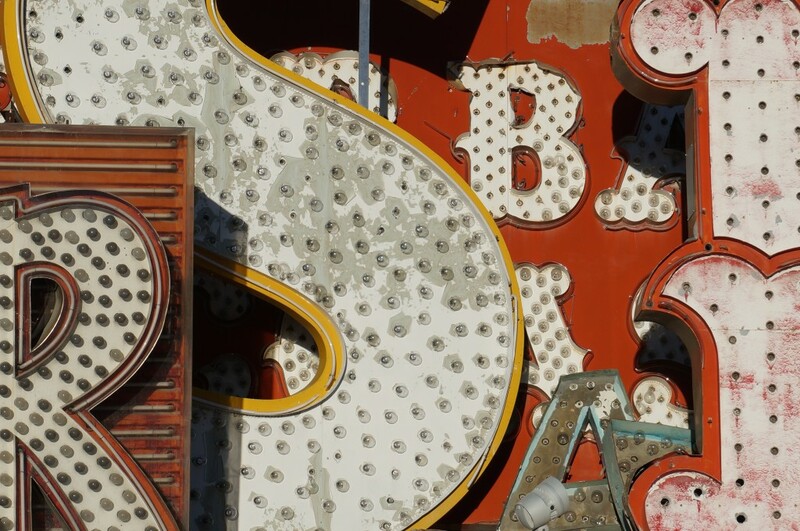 This outdoor museum is not only sassy, it’s also surprisingly beautiful. There’s just something irresistible about these out-to-pasture remnants of Viva Las Vegas. 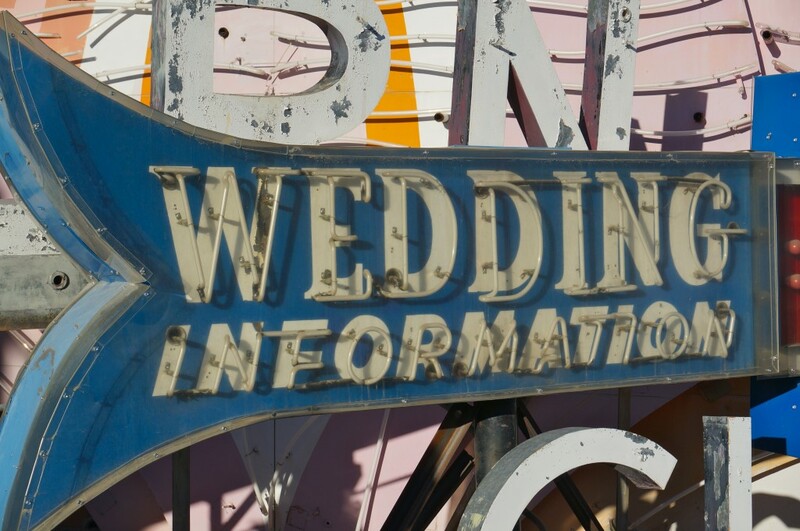 Also known as the Neon Boneyard, the museum features artfully arranged signage from small establishments like wedding chapels and dry cleaners. And the Stardust Inn, which happens to be as old as me. 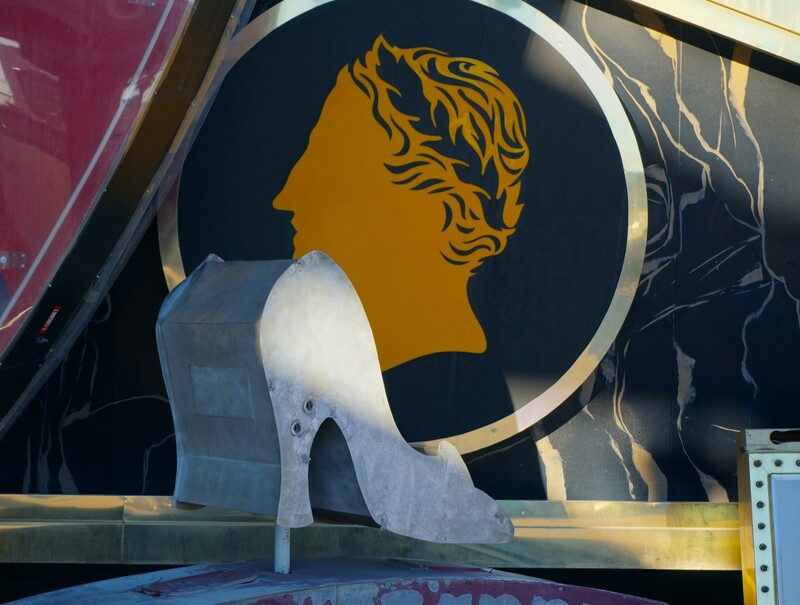 Don’t we look fabulous for our age?! 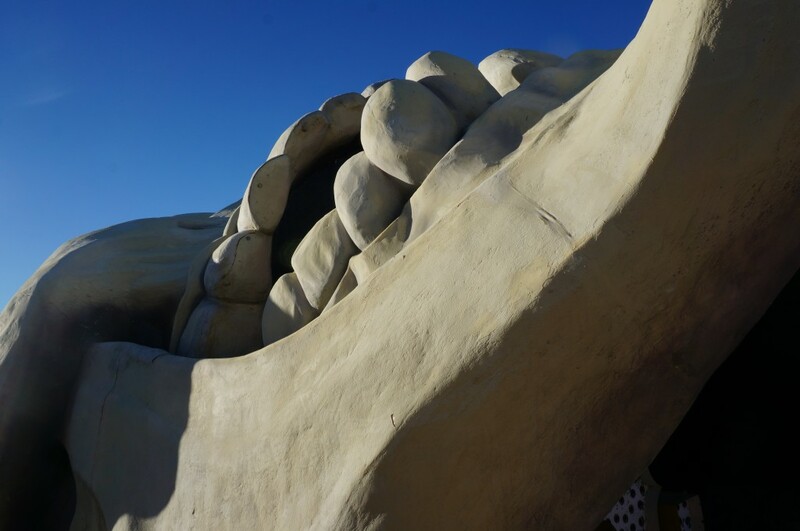 The museum also houses several fiberglass sculptures including a giant skull from the old Treasure Island. Arrrr! 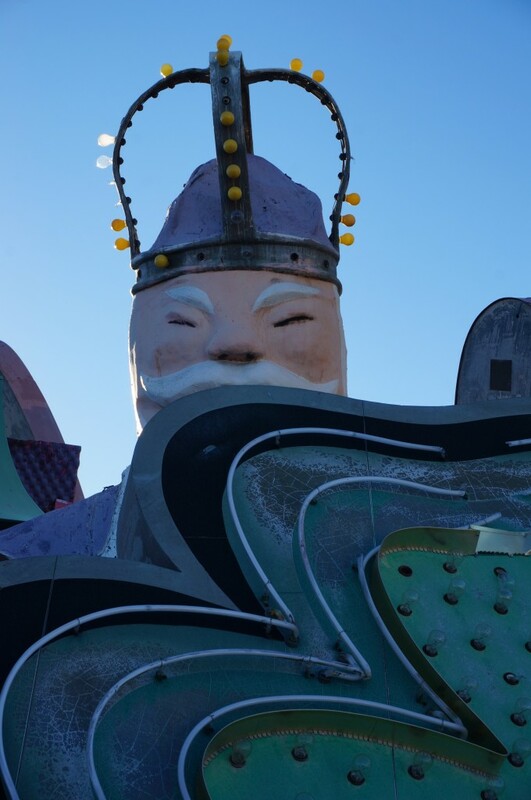 And this peek-a-boo fellow from The Mysterious East. 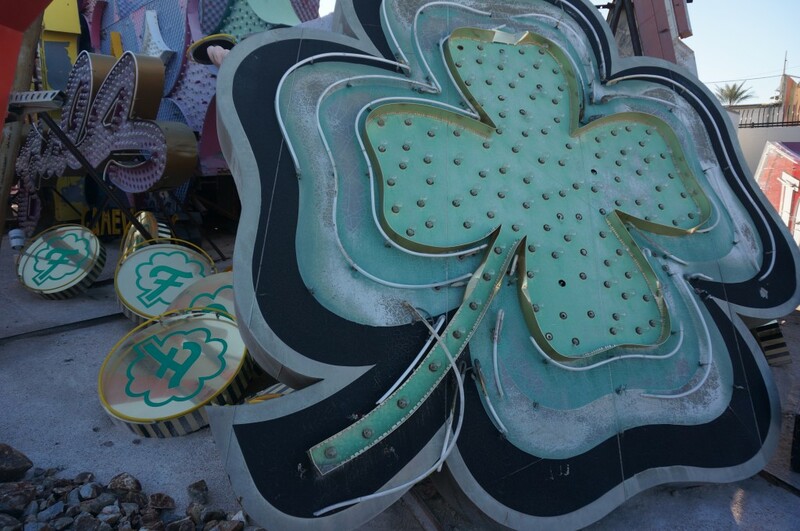 I had a hard time paying attention to the very excellent tour guide because I was having so much fun snapping photos of the beautiful shapes and colors in all their decrepit glory. 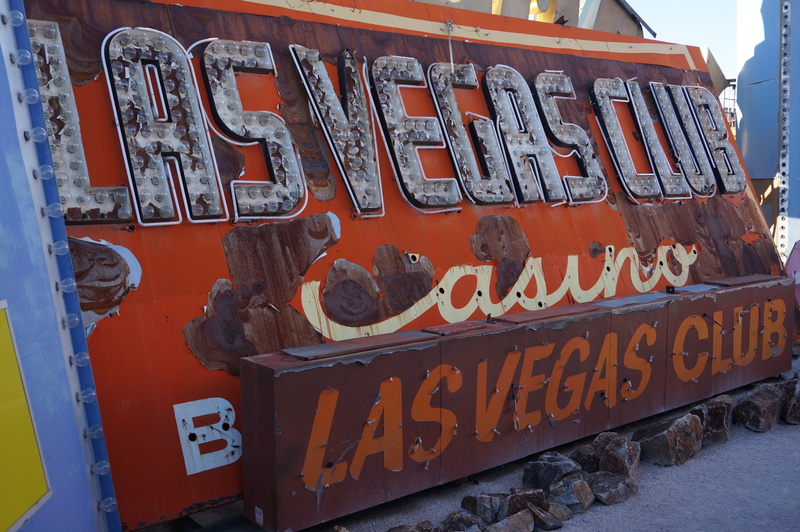 But M.J. tells me that the one hour tour features lots of interesting tidbits about the history of Las Vegas. 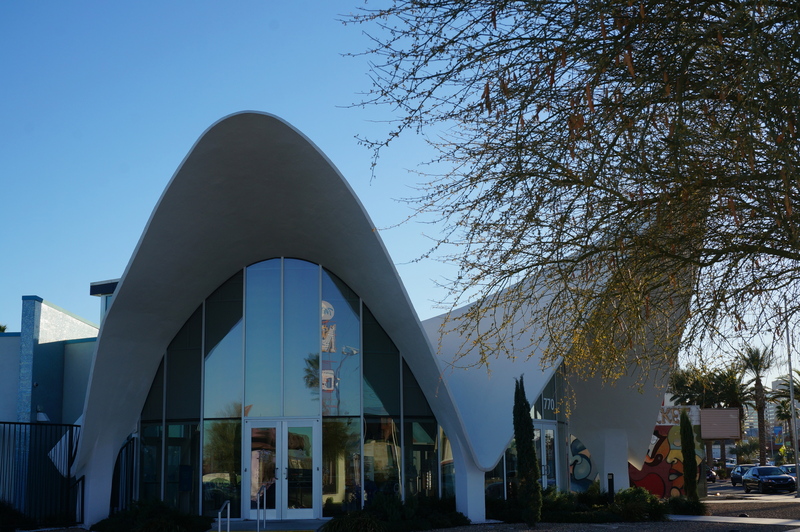 As an extra bonus, the visitor center is housed in the restored (and relocated) La Concha Motel lobby designed by Paul Revere Williams in 1961. Williams was a fascinating character — a pioneering African American architect who designed homes for people like Frank Sinatra and Lucille Ball as well as notable public buildings including a portion of LAX. 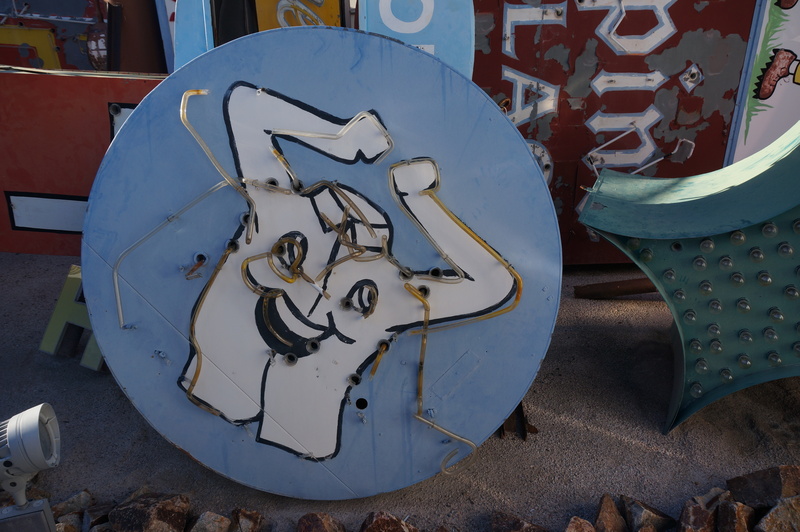 The La Concha Motel is considered one of the best preserved examples of futuristic Googie (think The Jetsons) architecture. If you have time, I’d suggest popping into the nearby Carson Kitchen—located in a renovated midcentury modern motel known as the John E. Carson building—for some innovative (but not too much so) comfort food. We enjoyed classics like burgers and mac & cheese but the broccoli salad and tempura beans were just ducky–and deserved their own marquee treatment. Tours to the Neon Museum are available day or night but must be booked in advance. For more information go here. 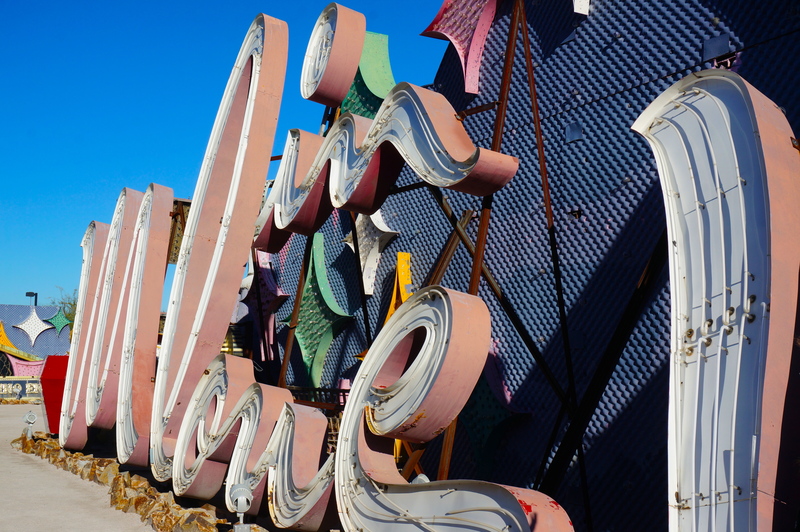 This entry was posted in Shelter, Style and tagged architecture, design, Las Vegas, neon, Neon Museum, Paul Revere Williams. Bookmark the permalink. Post a comment or leave a trackback: Trackback URL. 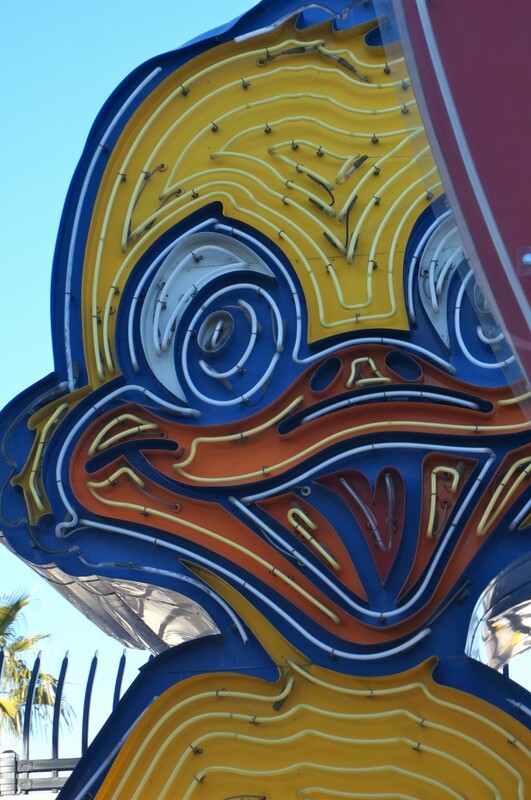 When I was young I used to think I’d hang a neon sign in my house. 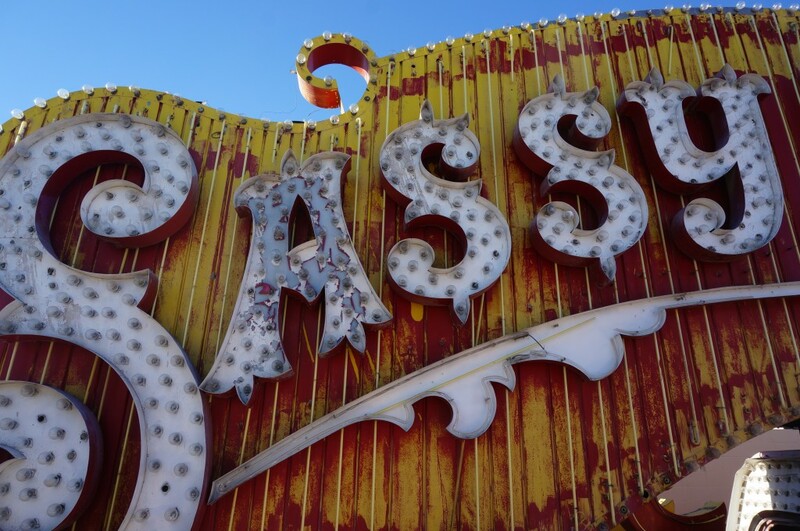 Down the decades, not happening, but an appreciation of the art form remains. Agreed. Akin to Christmas lights with a little more edge.